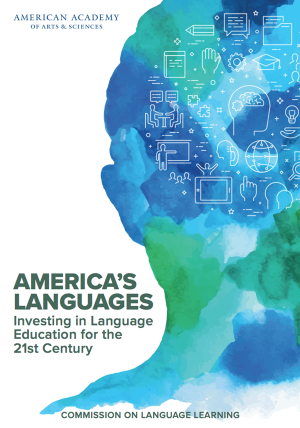 We’re excited to share with you a new report from the American Academy of Arts and Sciences on “America’s Languages: Investing in Language Education for the 21st Century.” Released in coordination with the Academy’s Commission on Language Learning – a national commission created to examine the current state of language education in the US – the report recommends that the US significantly increase access to language learning and invest in qualified language teachers in order to remain competitive. We’re working diligently to address that need and bring Mandarin language learning to the forefront of schools across the US. By engaging our 1 Million Strong implementation partners – focused on teacher training, technology and curriculum – we plan to equip 5,000 new teachers who will be able to increase Mandarin language learning in the US and bring us closer to seeing one million students learning Mandarin by 2020. Importantly, the report notes that while nearly 80 percent and 12 percent of US residents ages five and above speak English and Spanish, respectively, as their main languages at home, Chinese comes in third at 0.9 percent. We remain committed to closing this gap and promoting Mandarin language learning, and are all the more grateful for our partners and stakeholders and the support they provide.